Today, thanks to modern technology, we can change the natural environment virtually at will. Air-conditioning, indoor lighting, central heating, pesticides, food preservatives, cars, airplanes, polyester, and plastics are just a few of the countless amenities we use to adapt the environment to our needs. Yet however convenient or life-supporting these things may seem in the short-term, they are a two-edged sword, bringing undesirable side effects in the long-term. Some of the most obvious of these are already quickly becoming apparent: smog, the thinning ozone layer, the greenhouse effect, and the many heavy metals, pesticides, herbicides, and other chemicals that are finding their way into our bloodstreams for the first time in the history of our bodies’ delicate biochemistry. These by-products of “the good life” are now creating a major problem for the adaptation and survival of most species and biosystems here on planet Earth. And to compound the problem, at the very moment when we need more than ever to adapt to a quickly changing environment, as a society we seem set on debilitating our bodies’ natural ability to adapt by constantly forcing the environment to meet our needs (and whims) instead of vice versa. It is ironic that the more we insulate ourselves from environmental change, the more we isolate ourselve from that which gives us life. Therefore, it seems that the best course for survival is to increase our adaptability to our environment, not the other way around. In other words, instead of leaning on air conditioning to adapt to hot weather, it may be best to strengthen ourselves and cultivate flexibility—both of mind and body, and this is where the adaptogens can be of great importance. Adrenal insufficiency can cause a decline in DHEA and cortisol output. Adrenal imbalances, often caused by chronic stress, can lead to a wide variety of disturbances including: fatigue, low immunity, insomnia, dizziness upon standing, lack of motivation, irritability, and depressed mood. Modern research has proven that plant adaptogens help with the above mentioned imbalances, increase red and white blood cell counts in immuno-compromised patients, and improve exercise tolerance. Adaptogens also help to balance the immune system, the endocrine system (such as the thyroid, pituitary and adrenal glands) and help protect against infections through their immune-stimulating actions. 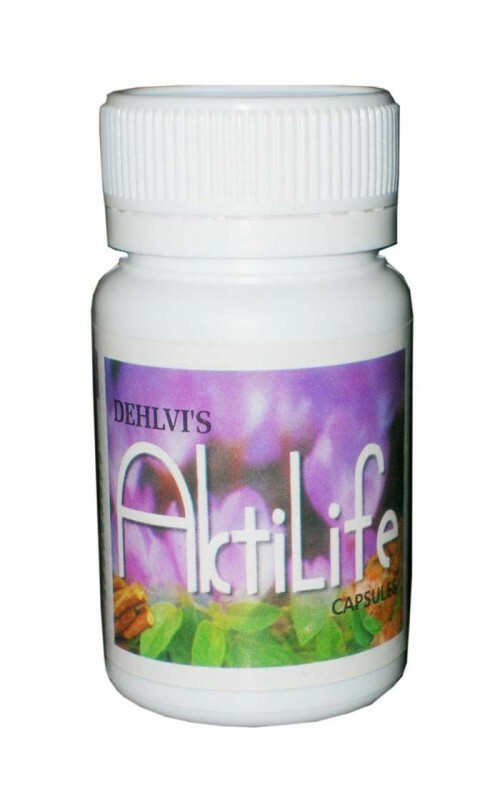 AktiLife Capsules contain well-known adaptogenic herbs that help improve adrenal and immune function. 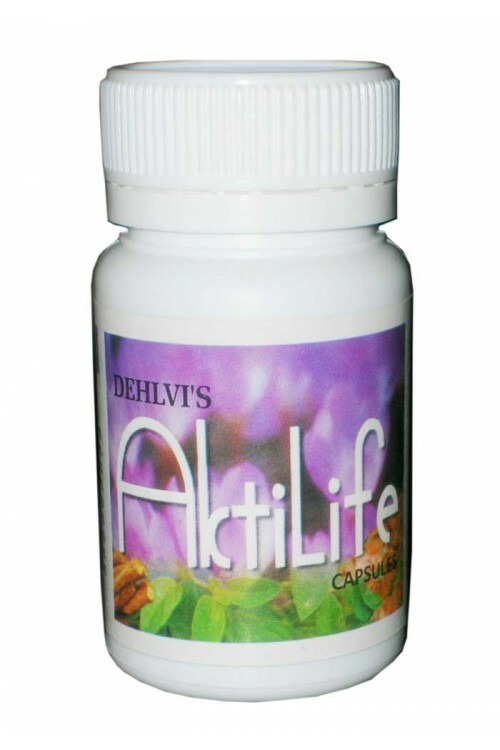 It is non- toxic and is not habit forming, while it exerts a normalizing influence on the body, possessing a wide range of therapeutic benefits which cause no disturbance to the normal functioning of the body. Explaining the effects of AktiLife Capsules is difficult, since they will influence each individual differently. If you are mentally exhausted or physically fatigued, the capsules will help you feel more energetic vitalised, and full of zest for life - but yet, they are not normal stimulants. Should you however be stressed-out, or emotionally tired, and not coping with life AktiLife Capsules will help you relax and make life easier to cope with, yet it is not a tranquilliser and will not have a drug-like effect on the body. The antioxidants contained in AktiLife Capsules help the body fight free radicals which are released during the oxidation process of metabolism in the body, which can cause a variety of problems such as cell degeneration, cancer, premature ageing and many other diseases. Useful for the entire family. Mental exhaustion, convalescence, fatigue, stress, depression, anxiety, lack of concentration, sexual dysfunction, decreased immunity, lack of energy in sportsmen, lack of motivation, low adrenals, and premature ageing. 1 or 2 capsules daily in the morning. Continue for at least 2 to 3 months. Pack size: In packs of 60 capsules. SIDE EFFECTS: There are no known side effects. Avoid caffeine, alcohol, smoking, sugar, salt and fat. Also avoid all refined, burnt, barbecued and fried food. Eat a meal high in carbohydrates and fibre. Eat more vegetables. Important nutrients in the anti stress diet include zinc, which can be found in seafood such as oysters, whole wheat, nuts, seeds, eggs and lean meats. If you are not sensitive to dairy products, include cheese and yogurt in your anti stress diet.